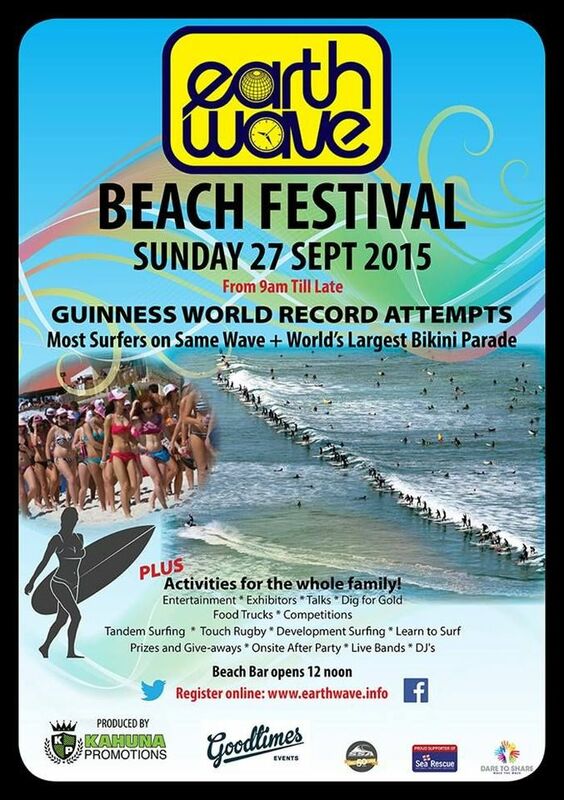 Since 2006, the popular Earthwave Beach Festival has taken place annually at Surfers Corner in Muizenberg. 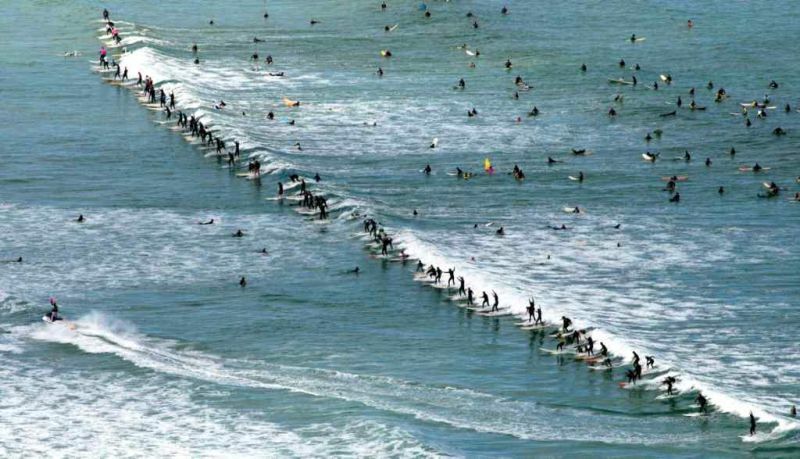 This year, Cape Town’s biggest ‘celebration of beach culture’ is back once again to not only improve on the Guinness World Record they set in 2011 for the most surfers (110) riding one wave at the same time, but also (among other entertainment) attempt a new record for the largest bikini parade – which should be a colourful affair. Basically it’s a lekker day down at the beach. Check out the press release below for details. 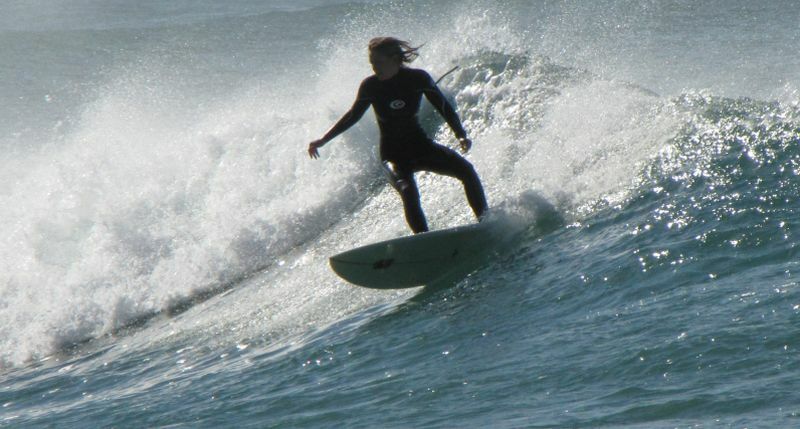 This entry was posted in Activity, Cause, Entertainment and tagged Earthwave Beach Festival, Guinness World Record Attempt, largest bikini parade, Most surfers riding the same wave, Muizenberg Beach, Muizenberg Earthwave Beach Festival, Surfing, Tandem Surfing. Bookmark the permalink.